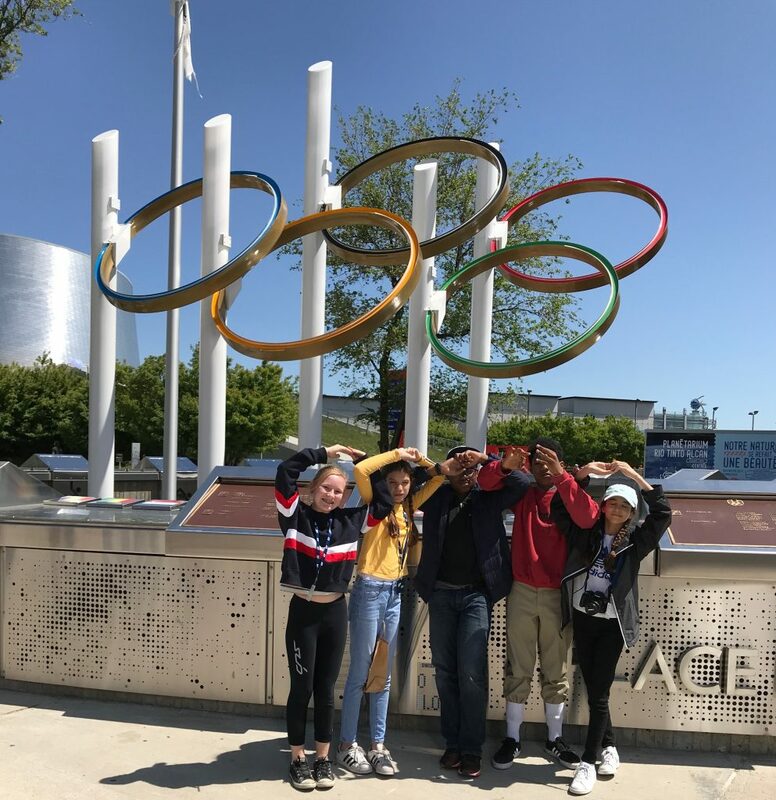 ISB's Enrichment Programs create new opportunities for our students to connect, share, and grow beyond the classroom. We aim to give all of our students an opportunity to participate in afternoon programming that is age-appropriate, engaging, and, of course, fun! Online registration for Spring 2019 is now closed. In order to register or make changes, please contact Enrichment Coordinator Kristen Moreland at kmoreland@isbrooklyn.org. Capoeira is a fantastic opportunity for kids to be exposed to a unique blend of martial arts, music, culture, and camaraderie. This fun and friendly atmosphere not only provides a challenging aerobic and acrobatic workout, but also helps kids develop their confidence and self-esteem. Classes involve movement utilizing the entire body to develop strength, coordination, and flexibility. Children enjoy learning two styles of dance in one class through the theme of Sleeping Beauty! Taught by the experts from DramaZone, this class was created to develop strength, coordination, and rhythm, as well as grace and flexibility. We incorporate studio beginner ballet and tap exercises in an environment designed to foster a love of dance. Recommended dress: comfortable clothing, ballet slippers, and hard-soled or tap shoes. Children love stories, mysteries, suspense and fun games. They love to explore new instruments and musical traditions. In this class, all the instruments come to life as characters and actually speak through their music so that the children learn to play instruments by performing the magical act of making their instruments talk (which is essentially what every great musician does with his or her instrument)! We also tell stories about great composers ranging from Herbie Hancock to Mozart, giving them a glimpse into the cultural and historical background and making them feel more personally connected to the composers (often we show pictures of the great artists as children). We lay the groundwork for reading music by presenting an intuitive approach to pitch through games like the Pitch Switch about a cow and a bird and we develop their sense of musicality through games like our Mozart Tip-Toe game, in which children sing Mozart’s “Non Piu Andrai” aria from the Marriage of Figaro while tip-toeing and hopping around the room trying to find a hiding Mozart. Taught by experienced yogis from Brooklyn Beanstalk, in this class students are exposed to the benefits of yoga practice and learn to channel their energy in a fun and creative way. Core activities include breathing exercises, asanas (body postures), and meditation techniques. Taught by the athletic and imaginative pros from DramaZone, this fun and playful class has children getting a dynamic workout without even realizing that they are exercising. Students will learn the basics of a variety of sports, including baseball, basketball, golf, and many more. Recommended dress: sneakers and comfortable clothing. Butter Beans cooking classes teach students how to make seasonal, international, nutritious recipes, while forging fun new memories in the kitchen! Students will learn about seasonality, international cuisines, beneficial nutrients, and mindfulness. Our menu will include items such as dolmades, fondue, nicoise salad, and risotto. As students move through the course, they will also learn vital kitchen knife skills, food tasting and seasoning, various culinary techniques, and culinary vocabulary. From seed to table, children gain an appreciation for food in a convivial setting, while discovering different cultures and building important cooking skills, all while having fun with their friends! Super Soccer Stars aims to teach soccer skills in a fun, non-competitive, educational environment. Their philosophy uses soccer to nurture, build self confidence, and develop teamwork in every class. Juggling, tumbling, clowning, balancing objects: this class offers all the elements of a child's dream of being part of a circus! The team at Brooklyn Beanstalk has been working for years to develop this creative program, which introduces the fundamentals of Circus Arts to children. 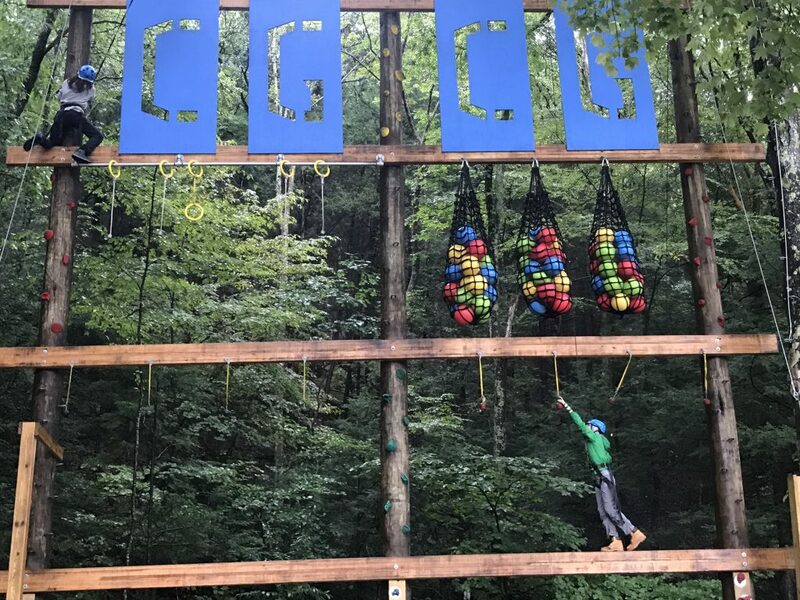 This class stimulates students' creativity, coordination, and teamwork with a heavy dose of FUN. Growing Glockenspiels™ gives children the opportunity to really learn to play their first instrument through a unique class. They also learn to read and write music through a fun gradual process that helps make reading music intuitive. Each child gets their own Glockenspiel to keep forever and take home between classes (a glockenspiel is a xylophone-like instrument that is laid out like a piano with the black and white keys). However, at first, their Glockenspiels only have the note middle-C on them and are “one note old”. Each time the children learn how to write a note on the music paper and play a new song with it, they then get a new note, and their glockenspiel grows up (the kids say “my glockenspiel is 9 notes old today… it’s almost a teenager!”, etc). Each song is introduced through a fun story that gives historical and cultural context and a familiarity with great composers from different cultures. The children learn to write music, and when the glockenspiel has grown all the way up, it looks just like a piano, so any song that the children know on the glockenspiel is then directly transferable to piano or whatever other instrument they choose to pursue. The goal is not just to execute the correct notes, but to really understand how music works in the process. For this reason, the class is valuable both to children who have never played another instrument before and to those who are taking instrumental music lessons separately. *Please note this class will be taught in French. New Kids Tennis offers high quality after-school tennis programs where children can develop valuable physical, mental, and social skills and grow to reach their full potential. This USTA-sanctioned format helps children learn and play the game of tennis. The court size, racquet sizes, tennis balls, scoring system, and height of the net have been adjusted to meet children's needs. Students have the opportunity to experience the game, have fun playing with their friends, and develop the skills that will become the foundation of their game. This exciting new class helps students improve their creativity, fine motor skills, and artistic capabilities. Monsters, fairies, animals, backdrops, and all sorts of creatures will be hand built to create an amazing Clay World! Students will explore different techniques, including pointillism, spreads, and textured clay, and design and sculpt their own character creations. This class is open to all newcomers to the game. Over the course of the trimester, we will cover the "ABC's" of chess: checkmate, opening development, en passant, castling, stalemate, and pawn promotion. Each class will have a brief lesson outlining a new topic, and then students will have a chance to play practice games in a fun, and encouraging environment. Prizes and medals will be awarded to every participant at the end of the semester! Capoeira is a fantastic opportunity for kids to be exposed to a unique blend of martial arts, music, culture, and camaraderie. This fun and friendly atmosphere not only provides a challenging aerobic and acrobatic workout but also helps kids develop their confidence and self-esteem. These exciting classes are designed to give young actors the skills and insights needed to work in front of the camera. Whether learning an acting scene from a movie, giving the news or learning audition techniques, children learn to hit their mark and deliver. Super Soccer Stars aims to teach soccer skills in a fun, non-competitive, educational environment. Their philosophy uses soccer to nurture, build self-confidence, and develop teamwork in every class. Children enjoy learning two styles of dance in one class through the theme of Sleeping Beauty! Taught by experts from DramaZone, this class was created to develop strength, coordination, and rhythm, as well as grace and flexibility. We incorporate studio beginner ballet and tap exercises in an environment designed to foster a love of dance. Recommended dress: comfortable clothing, ballet slippers, and hard-soled or tap shoes. This interactive class will help grow budding interests in engineering and coding by providing students with opportunities to interact with robots designed especially for young learners. Students will use color block coding drawn on programming sheets designed to direct a robot through simple tasks. Children swing into gear with America’s favorite pastime. Run, throw, and catch while learning proper form and team spirit. Fielding and running the bases are just part of the fun. Skills and baseball drills make this a well-rounded class. Play ball! Recommended dress: sneakers and gym clothes. Kids will discover how and why each of the six basic simple machines was invented (inclined plane, wedge, lever, wheel and axle, screw, pulley) as they apply this knowledge towards a series of fun challenges. Through trial and error experiments, kids will work together in small teams to build simple and compound machines and have a chance to practice collaborative problem solving and creative solutions. The class will also learn about artists that are also scientists, from Renaissance artists such as Leonardo da Vinci to contemporaries Fischli and Weiss, who will inspire the group to create their own original inventions. This exciting program aims to teach students sewing machine use, hand sewing, measuring, the properties of fabric, printing fabric, and illustration. We combine a little bit of math, a little bit of science, and a lot of design into one fabulous course! These exciting classes are designed to give young actors the skills and insights needed to work in front of the camera. Whether learning an acting scene from a movie, giving the news, or learning audition techniques, children learn to hit their mark and deliver. This class will help grow budding interests in engineering and coding by providing students with opportunities to interact with robots designed especially for young learners. Students will use color block coding drawn on programming sheets designed to direct a robot through simple tasks. Children explore the styles of dance used in present-day video clips and movies based on jazz and acro dance. Dance fusion is a great way to get kids moving! Taught by dance professionals from DramaZone, children will get to see their work played back just like the pros. All music is age appropriate. Recommended dress: comfortable clothes, sneakers or dance shoes. Children embark on a journey of bravery and adventure as they work toward putting on a show for family and friends at the end of the semester. Singing teaches rhythm and math through counting, dancing improves coordination and gross motor skills, while acting teaches speech and concentration while promoting confidence. Theater and dance games make this a well-rounded and fun class. Dress: comfortable clothing and sneakers. No experience necessary! In this course, students will explore the Scientific Method and Engineering Design Process through easily accessible, hands-on STEM experiments and activities. Students will improve their interdisciplinary math, science, and problem-solving abilities while participating in fun, collaborative projects and games. We’ll investigate Engineering, Probability, Game Theory and Design, Computer Science, The Human Body, Nutrition, Science Policy, Kinematics, Geometric patterns, Environment, and so much more! This class is open to all newcomers to the game. Over the course of the trimester we will cover the "ABC's" of chess: checkmate, opening development, en passant, castling, stalemate, and pawn promotion. Each class will have a brief lesson outlining a new topic and then students will have a chance to play practice games in a fun, and encouraging environment. Prizes and medals will be awarded to every participant at the end of the semester! This exciting program teaches students sewing machine use, hand sewing, measuring, the properties of fabric, printing fabric, and illustration. We combine a little bit of math, a little bit of science, and a lot of design into one fabulous course! This combination Public Speaking and Playwriting Class offers children tools to last a lifetime. Taught by the experts of the DramaZone, children will learn fun ways to give a variety of speeches from pop topics to The News! while also letting their creative juices flow writing, directing and acting in their very own creations. Children learn the art of storytelling through age appropriate plays, films, and modern media. Through elements of both public speaking and playwriting, students build confidence and develop technical skills through exercises and interactive games. Skills include: vocal execution, breath support, diction, body awareness, content phrasing, relaxation, diction, selling your message, creating story structure, thematic story boards, character development and style. This class is open to all newcomers to the game. Over the course of the trimester, we will cover the "ABC's" of chess: checkmate, opening development, en passant, castling, stalemate, and pawn promotion. Each class will have a brief lesson outlining a new topic and then students will have a chance to play practice games in a fun, and encouraging environment. Prizes and medals will be awarded to every participant at the end of the semester! This combination Public Speaking and Playwriting Class offers children tools to last a lifetime.Taught by the experts of the DramaZone, children will learn fun ways to give a variety of speeches from pop topics to The News! while also letting their creative juices flow while writing, directing and acting in their very own creations. Children learn the art of storytelling through age appropriate plays, films, and modern media. Through elements of both public speaking and playwriting, students build confidence and develop technical skills through exercises and interactive games. Skills include: vocal execution, breath support, diction, body awareness, content phrasing, relaxation, diction, selling your message, creating story structure, thematic story boards, character development and style. Using screwdrivers, pliers and other tools, kids destroy discarded printers, blenders and other common electronics to get inside and see how they work. Then, using the components along with recyclables and other found materials, kids will construct new inventions or environments in the classroom. Kids learn about the inner workings of electronics (and that free art supplies are everywhere) while developing skills of innovation and invention. ISB offers a variety of after-school and free-period activities to support and enhance the personal, social, emotional, physical, and creative growth of our Middle School students. Sample offerings are listed below. Students can develop leadership skills and learn about fundraising to help their local and global community. The Middle Student Council is comprised of four executive positions and eight class representatives. Meetings take place once a week during lunch throughout the year. They help plan fun activities and provide volunteer opportunities throughout the year. Students will develop their design and technology skills and use their creativity as they put together the ISB yearbook. Middle School students can earn community service hours for working on the yearbook. Meetings take place once a week for 10 weeks. International School of Brooklyn offers three athletic seasons for Middle School students, including two team sports and one individual club sport. This year, ISB is offering soccer (fall), basketball (winter), and track club (spring). The Athletics department aims to develop athletes who demonstrate good sportsmanship by showing respect to teammates, officials, and opponents. The ISB Dragons are part of a middle school athletic league called the MSAL. ISB organizes soccer and basketball games with a large community of independent schools, including schools from both Brooklyn and Manhattan. ISB Dragons soccer meets for three practices per week. During these sessions, students practice various techniques that improve their ability to play soccer. Students work on footwork, dribbling, passing, strategy, and teamwork during this fall season. Team members scrimmage each practice, and games are scheduled with other schools for interscholastic competition. ISB Dragons basketball meets for three practices a week. Student athletes run drills and activities that progressively teach the fundamentals of basketball. Skills that are focused on include agility, hand-eye coordination, ball handling, passing, catching, flexibility, conditioning and teamwork. Basketball can help develop cardiovascular endurance and develop both upper and lower body strength. Students have fun, socialize, and build teamwork. Strong relationships translate into good health. Exercising in a group also tends to lead to better continued participation. Played alone or in groups, basketball is a great sport to learn. Student-athletes have the opportunity to learn about the importance of cardiovascular endurance, such as their heart rate, running capacity, and how to maintain good pace when jogging. Different obstacles will be introduced to motivate and improve their abilities. A Dragons customized T-shirt will be provided to each participant. As a P.E Teacher and Coach, I encourage students that plan to continue playing sports like soccer and basketball to join the track club. This year, PE Department Head Xavier Huc led 31 6th Graders and four other chaperones (Director of Middle School Richard Brownstone and teachers Sara Fernandez Valladares, Meena Negandhi, and Patricia McDougall) to Club Getaway in Kent, Connecticut, for three days and two nights of activities, games, team-building, and fun. Trips like these are especially important because 6th Grade is a major entry point for new ISB students. While many of our students have been here since Preschool or Lower School, some have just joined us in Middle School. By taking the entire grade out of town—and removing all academic pressure and outside commitments—ISB gives the new and returning students some time to acclimate to one another, build new friendships, and come back to Brooklyn as a new ensemble. 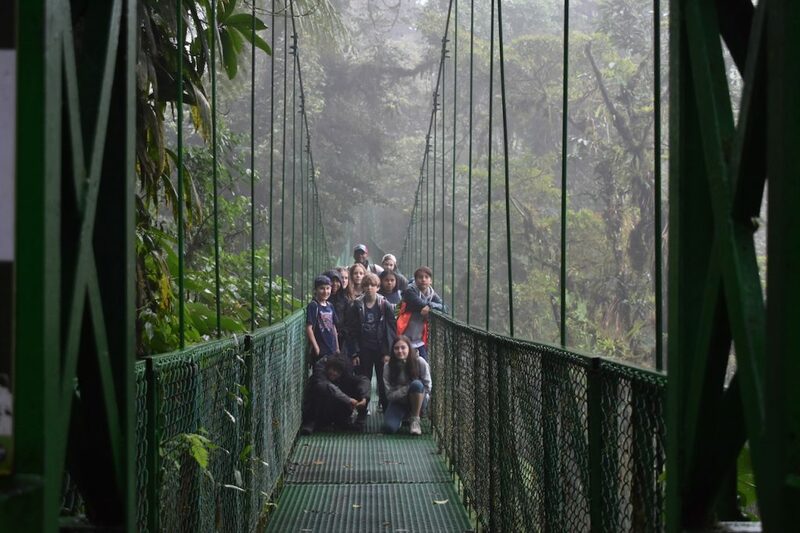 Once we landed in Costa Rica, we were welcomed by our guide and we began our bus trip to Monteverde. About an hour later, we stopped to have lunch, which the students called "una comida deliciosa.” After lunch, we continued our journey, during which we marveled at the natural beauty of the countryside and spotted several animals such as cows, horses, dogs, and even goats. The bus ride was filled with exclamations of “Wow!”, “Look at that!" and "Did you see that?" Cette année, nos élèves de cinquième ont eu la chance de partir en voyage linguistique du 6 au 11 juin dans la province du Québec au Canada et de visiter les villes de Montréal et de Québec. Nous vous souhaitons un bon visionnage de l'album photo ci-dissous!